Deer are beautiful wild animals, but they can leave a trail of destruction in their wake. 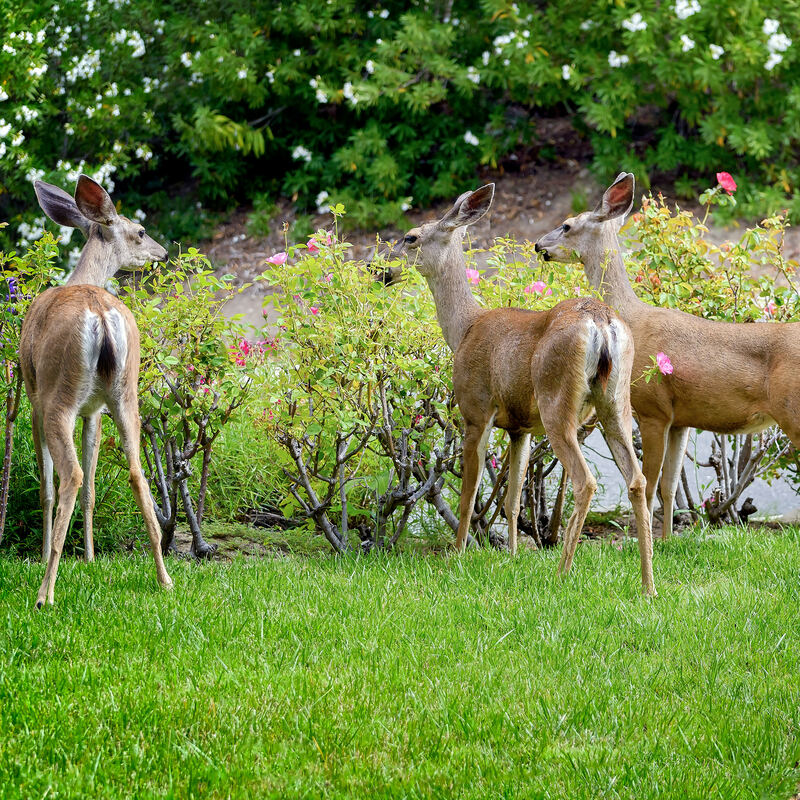 Keeping deer out lawns, gardens, and landscaped areas is challenging and may require a multipronged approach. Usually, deer feed in the evening or early in the morning. If you don’t spot them, look for their hoof prints. Deer have split hooves, pointed at the front and more rounded at the back. You’ll also see their pill-shaped droppings, often in clumps. When properly built, deer-proof fencing is the only surefire way to keep deer out of your yard. Fencing must be 8 feet (2 m.) tall to prevent deer from jumping over, but a slightly shorter fence will work if the top few inches are bent outwards. Although a wire fence usually works, a privacy fence is most effective. Deer don’t like to jump over if they can’t see what’s on the other side. If fencing isn’t practical, you can build cages around individual plantings, or encircle a young tree until it grows tall enough that branches are safely out of reach. Deer aren’t easily frightened, especially if they’re accustomed to people. Noisemakers usually aren’t effective for very long, but they’re likely to annoy your neighbors. Motion-activated sprinklers may send deer running for cover, but you’ll probably need more than one, depending on the size and shape of your yard. Taste repellents are nontoxic and harmless to animals and people, but the offensive taste may discourage deer from taking a second bite. Some repellants are waterproof and may be effective up to six months. Many plants are unpalatable to deer, usually because of their taste, texture and aroma.. 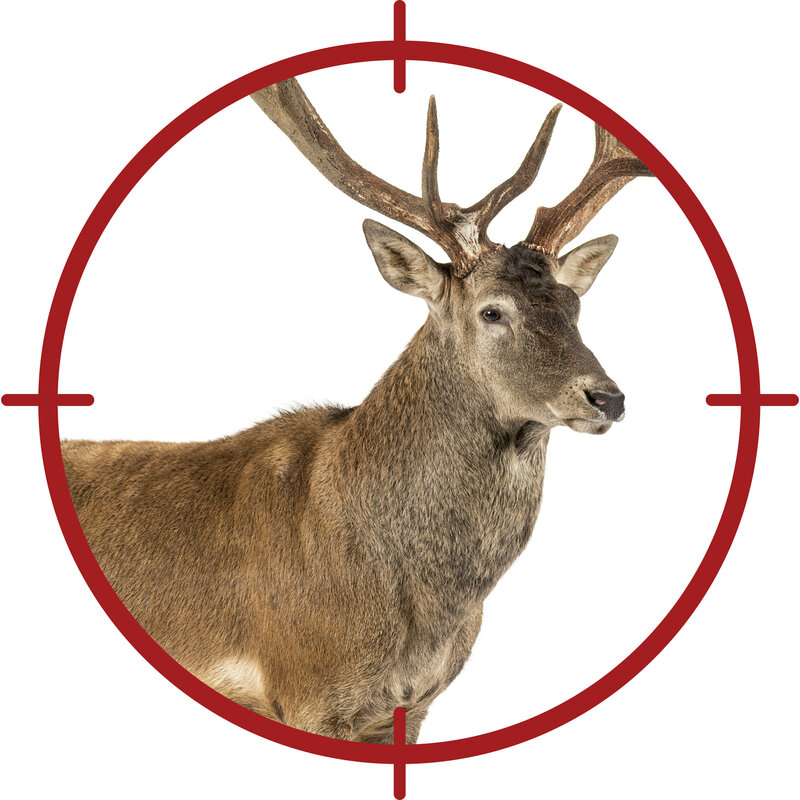 Examples of deer-resistant plants include cactus, holly, yucca, daffodil, garden sage, mint, flowering tobacco, hyssop, lamb’s ear and lemon balm. Keep in mind, however, that deer will eat nearly anything if they’re hungry enough.